Our blog is full of information about online public consultation and best practices for engaging with the public. However, let’s start at the very beginning. Why should your organization consider engaging online in the first place? A key benefit of online community engagement is engaging hard-to-reach people and expanding input beyond the “usual suspects.” Some people are unlikely to attend in-person events such as public hearings or open houses, but are more receptive to participating online. In addition, online methods of communication can reach diverse audiences that may not pay attention to newspapers or other traditional information sources. In addition, online engagement makes it easier to communicate with people who speak another primary language. People who are not fluent may be hesitant to participate or speak during traditional consultations such as town hall meetings. This is especially salient in communities with significant immigrant populations whose perspectives may end up not being represented. Learn more in our post on tackling language barriers with online engagement. Digital platforms can also diversify and increase engagement by connecting with demographic groups (e.g. young people, families, people with physical disabilities, etc.) who are less likely to attend a public meeting, but are open to participating online, in their own time. For example, although people may be too busy to attend an open house, they may have a few minutes after work or before bed to take a survey or leave a comment online. Traditional forms of in-person engagement can be a time-consuming and expensive process when done effectively. Online engagement enables you to create and publish new consultation topics in a single afternoon and instantly notify residents who are already signed up to the platform. This removes much of the hassle and cost associated with in-person engagement and provides the opportunity to consult more frequently with your residents. In addition, online engagement helps to sustain ongoing participation by updating individuals and communities through online and mobile updates. Building on the network effect also offers greater potential to scale your engagement over time. With each new public consultation, it becomes quicker and more cost-effective to reach and engage with a larger number of people. 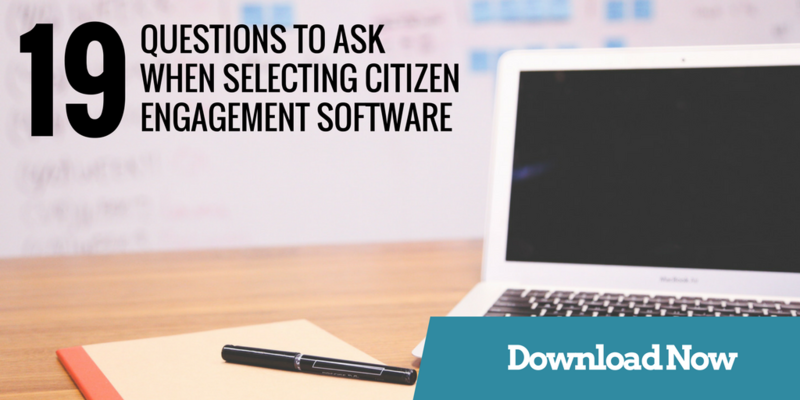 There is no one-size-fits-all solution for citizen engagement. While there are definitely tools that you need, you will also want the ability to turn these on or off depending on your needs. Offering a wide variety of public engagement tools allows people to participate as much or as little as they like. In addition, by relying on a combination of features, you can ensure the collection of reliable quantitative and qualitative data. To learn more, check out our post on the essential features for your online public engagement toolkit. A healthy democracy requires a plurality of voices engaging in constructive dialogue. While most people are interested in engaging with issues which affect them, persistent barriers to entry dissuade them from participating in traditional forms of public consultation such as town hall meetings or public hearings. Online engagement provides a non-intimidating, accessible and convenient means for residents to gain unprecedented access and build capacity to connect with decision-makers. In addition, online engagement not only has the potential to facilitate dialogue between decision-makers and residents, but also amongst residents. In a recent Pew Research Centre survey, 48% of respondents said they trust some or none of their neighbours. Strengthening the social fabric is crucial to building resilient communities and restoring public trust. With the rise of civic technology and open data, organizations (especially smaller ones) can save significant amounts of money by using applications created and data analysed by third parties instead of building in-house solutions and duplicating existing technologies. Online methods of engagement also offer better targeting of demographics, allowing proponents to hear from the most relevant people. 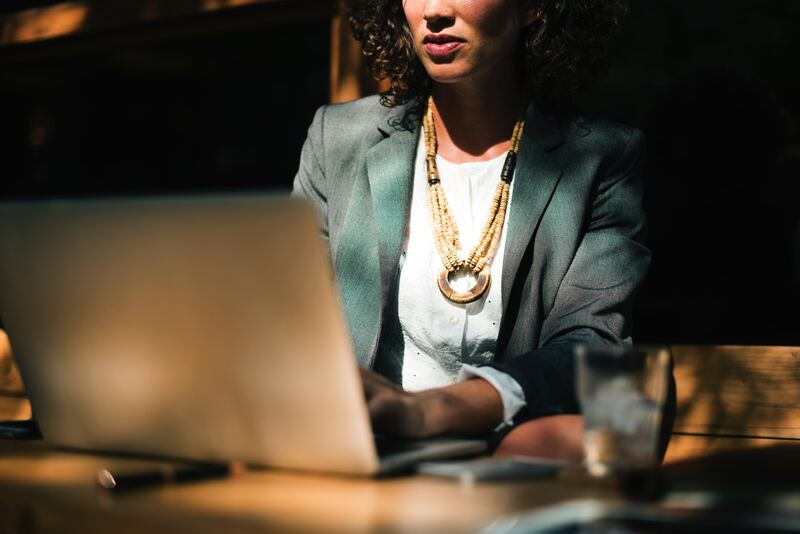 A legitimate and efficient online engagement process can be considerably more cost-efficient than a series of poorly-attended in-person meetings. Finally, social licence can mean the difference between a project moving forward or being stalled indefinitely, bringing both social and economic consequences for both the proponent and the community. Consistent and sincere public engagement with a diverse range of stakeholders will help to mitigate issues, such as angry residents/constituents or lawsuits, in the future. It is important to note that online engagement is not meant to replace traditional in-person forms of engagement. Instead, online engagement supports and enhances the techniques that are already being used to reach out to residents. By expanding the number and types of opportunities that are available for people to participate, your organization will naturally see an increase in engagement from more diverse demographics.